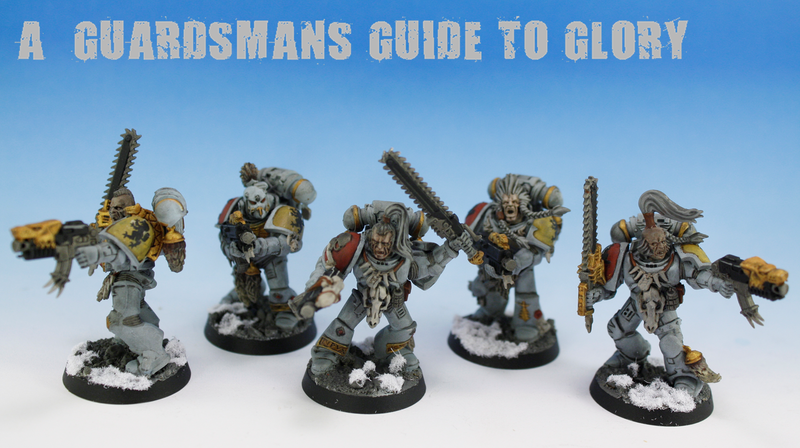 So yeah, 5 more Grey hunters are done with only 5 more to go. The real thing i wanted to show off was the improvement in picture quality. This is down to Mrs GunGrave's sister giving me a tutorial in the use of White Balance. I'm sure that this is all old news for most of you, but I was so pleased that I've got a solution to my yellow-tingged pictures! An adjustment of the white balance completely eradicated this problem, giving me much cleaner pictures! Anyhoo, with the completion of the 2 Grey hunters squads looming, I'm starting to think about the next units to paint for this army. Traditionally, I like to get all the Troop choices out of the way first, so i think I'll be cracking on with the two five man Terminator Squads that are on the to-do list! Wow mate your wolf army is really coming along. Well impressed. Are you going to Blog Wars 2, and are you going to use these guy's? I'm hoping to go but struggaling to contact the Fang to let him know I want to attend. Yeah im totally going! not sure if im gonna take these guys or my Vostroyan's yet - just cant decide! This army will be done pretty sharpish, so once i get a few playtests in i'll be able to make a better decision! Apocalypse Terrain: Gothic Cathedral Complete!